Just as I was beginning a post this morning about a new product that makes my heart sing, bam the door slammed shut on me. You see in my mail today, was a nifty story about a new Black Bean Burger being introduced at a select number of Wendy’s in Ohio. But, regretfully when I started reading it, there was also a side story, that pointed to a quite unhappy situation. It would seem that the about to become newest favorite eatery, Wendy’s, is embroiled in a mess over wages, with ugly insults being hurled, indicating that they may have participated in what amounts to slave labor with their employees. Now, if the idea of a Black Bean Burger is new to you, please let me share this, my best friend at UCLA was married to the Manager of one of their top Campus eating places and he delighted in letting me know each week when he made them, knowing full well that I hated meat and loved this culinary treat. I never did learn all of the ingredients of this delicious, decadent burger, but had been a huge fan of Black Beans for many years, so never cared a whole lot about what he put into them. Moving to Florida basically closed the door on all of my favorite California vegetarian eating places, as I soon learned that they were not high on anyone’s totem pole here. 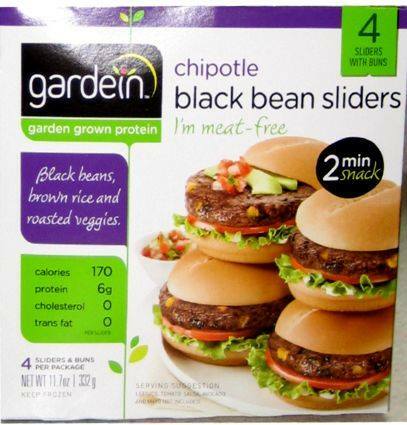 So, not willing to eat the Morning Star veggie burgers made with soy beans that have been processed with Hexane, a known carcinogen and pretty much a toxin/pesticide, I had given up hope. That was until a few months ago, when shockingly I found a new Black Bean Burger from a previously unknown Company, at our local Wal-Mart. Bringing it home was a challenge, as Walkingfox is not huge on doing without meat. Surprise, he liked them and has become a fan, of sorts. But being out on a shopping or other trip and hoping to find one was not to be, at least not here. So, you can imagine my delight this morning seeing/reading this story about Wendy’s. Joy quickly turned to sorrow, after reading that they are having similar salary and wages problems with their employees as Waffle House is. Right now the delectable Black Bean Burgers are only being tested in Ohio, near Wendy’s Corporate offices, but it looks like that may change quickly judging from the public responses to them. Now if they can only get their employee/wages issues fixed, Wendy’s may yet become a new place to eat on the run. And, if they don’t, then, as with Waffle House, we will not be dining there any time soon either. So, dear Wendy’s, please treat your employees right, pay them right and this may after all, be only a rhetorical question, et tu Wendy’s?